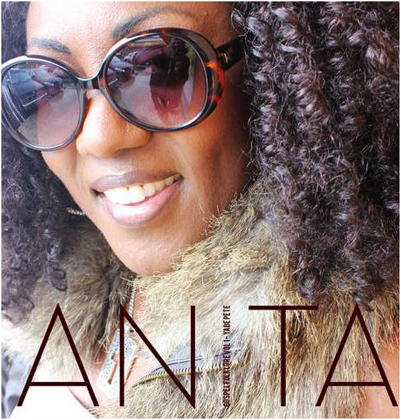 Anita has emerged as one of the most prominent and widely recognized voices in the Cameroon Gospel music scene today. She is known and respected for her uncompromising style of ministry through her songs, her writings, her live messages and her prayer and counseling ministry. With a voice that has been described as "anointed", "sultry", "dulcet tones", Anita continues to work tirelessly to elevate the standard of Cameroon Gospel Music by mentoring new gospel artists and fostering collaboration and love among music ministers. She is a recording artist who does more Kingdom work off the stage and behind the camera's in response to the needs of the church in a world where so many are in dire need of true ministry from the Holy Ghost. Born in Cameroon, Anita went to Saker Baptist College, an all girls' boarding school where a Christian education was of the utmost importance. Her first vocal influence was her mom. During her years at Saker, music and daily devotions were an integral part of boarding school life. At home, her parents were strong pastoral influences who laid the foundation for a personal relationship with Christ. Anita's musical foundation was elevated to new heights in Walsall, England when she sang alto with Re:mission, one of England's best gospel choirs. With Re;Mission, she took part in the BBC's "Songs of Praise". Re:Mission boasts 4 albums with a number of nominations and awards for Best British Gospel Music. With Re:mission, she has shared the stage with gospel greats such as The Winans, Donny McClurkin, Graham Kendrick and Fred Hammond. Anita is a wife and mother of two. In 2006, she was part of the South Hills, CA Church Choir that recorded the album 'Madly". Through the music she writes, she ministers to the broken hearted and brings healing from the pain of suffering. As a prayer warrior she engages in intercessory prayer and counseling thereby bringing deliverance to many wounded and bound souls. She believes that her anointing is in transforming lives through ministry to the whole person- spirit, body and soul- hence achieving the harmony that God intended for his children. Her first album entitled "I Gotta Testify" was released in 2008 after which she released a number of singles. Her second album entitled "My Deliverance has come” was released in June 2014. Her third album “Purify Me” was released barely a year later in July 2015. Anita won the 2011 Artist of the year with Nexdim Empire and currently has 3 nominations for Best Gospel Artist in USA /Canada with the British Africa Gospel Music Awards and 1 nomination for the Cameroon Entertainment Awards. She is a poetic songwriter who testifies about the faithfulness of God in taking his children through the wilderness into a glorious promise. Anita has a somewhat laid back and yet anointed vocal style that will soothe you into a place of hope! In addition to her music ministry, Anita holds an MBA in Human Resources and has a successful career in corporate America. Founder of Atina Music Foundation Inc., a charitable organization that spreads the gospel of Jesus Christ through various musical events, mentoring, music scholarships and donations to aspiring gospel artists. Her philanthropic activities have also included working with orphans in Africa, an incubator donation project for hospitals in her home country Cameroon, and serving on the boards of various non-profit organizations.